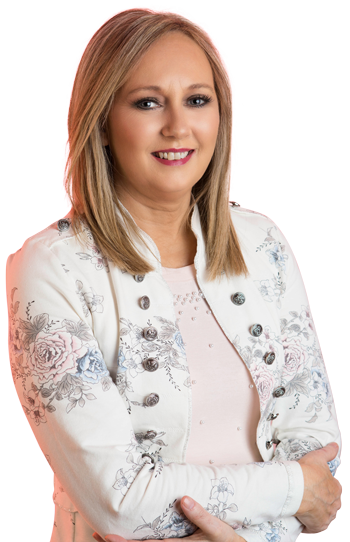 Bernadette Denby has worked as an Auctioneer, Valuer and Estate Agent in Wexford since 1998. Her years of experience has given her great insight into the highs and lows of the property market. She first dipped her toe into the property market back in 1998 where she discovered a love for selling property. Bernadette’s wants to take a new approach, she has talked to buyers and sellers listened to their needs and decided it was time to change. Accessibility is priority. Working 9 to 5 with a five-day week is a thing of the past. Buyers do their research online they communicate electronically, and they want an efficient service tailored to their needs. Bernadette wants to focus on this market and work with buyers and sellers to find them what they need, assist them in the searches, save them time, so they can prioritise on one of the most important financial decisions of their life. Buying or selling a home can be stressful, having someone you can rely on who has the best advice and will point you in the right direction is a huge comfort when stepping into the unknown. Bernadette is also a Certified International Property Specialist which gives her links to likeminded international agents just like herself around the world. Over the coming months working with these agents she hopes to build a platform which will offer her clients a unique opportunity to market their property around the world. In a forever changing market why not make the world your oyster? On a personal level trust and integrity are an integral part of who Bernadette is, and how she conducts her business. Whether buying or selling you can be assured she will do her best for her client. Her years of experience of the local market can guide you whether buying or selling. Why not contact Bernadette now? She is happy to meet with you at a time that best suits your work /home schedule.